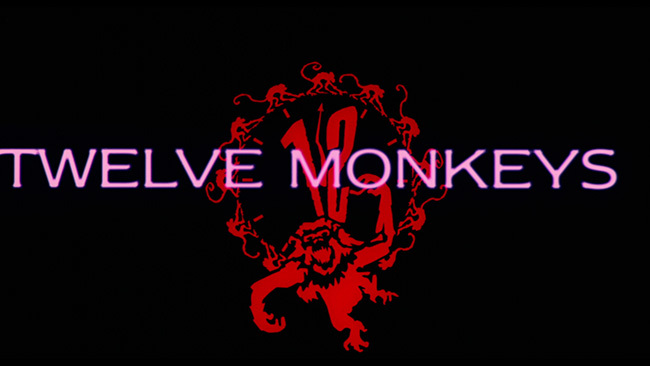 Terry Gilliam (director of Brazil and Fear and Loathing In Las Vegas) presents a unique and seriously twisted view of the future in his cult black comedy/science fiction hybrid, 12 Monkeys. Bruce Willis plays James Cole, a man sent back in time from 2035 to 1996 to find a cure for a horrible virus that has killed millions of people. This same virus has forced humanity to live underground. If Cole can accomplish this, he'll not only theoretically save millions of lives, but also get a pardon for his past crimes. 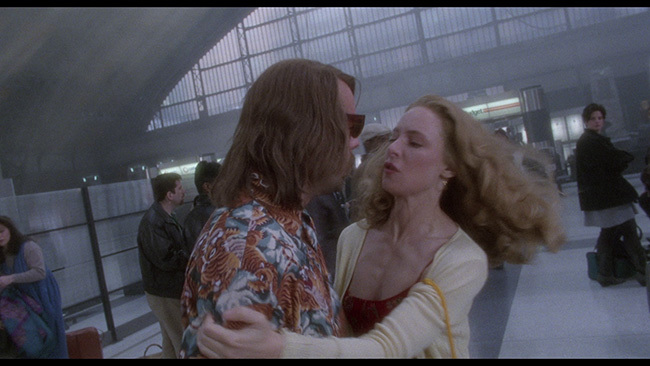 When the time travel goes awry, he arrives earlier than he should have and is thrown into a mental institution. Here he is drugged up on sedatives because, surprisingly enough, no one believes that he is from the future and that he's out to stop a killer virus from laying waste to humanity. 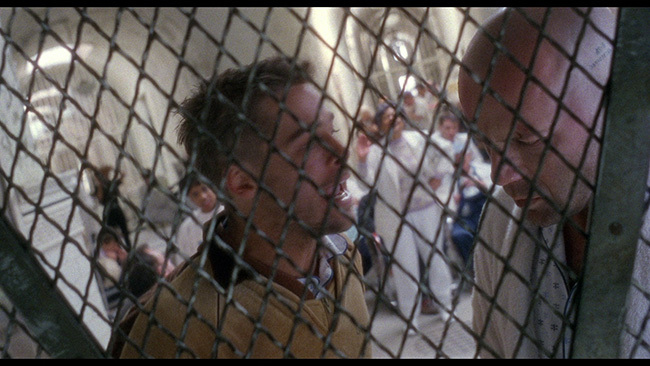 While he's in the institution, he meets Jeffrey Goines, a fellow inmate (played by Brad Pitt). 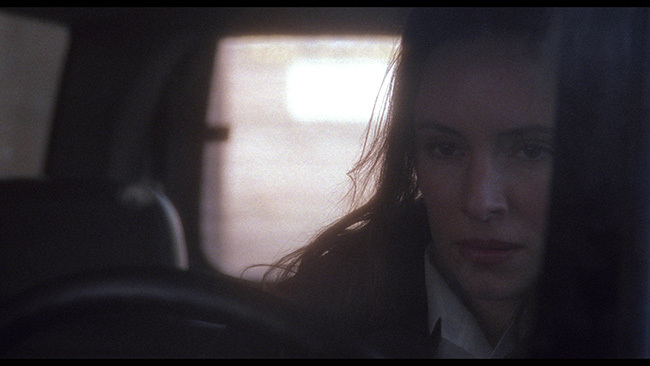 He's also introduced to his psychiatrist, Dr. Kathryn Railly (played by Madeleine Stowe) who becomes fascinated with him. Soon, Kathryn starts to pay some serious attention to him and to what others perceive as lunatic ramblings. 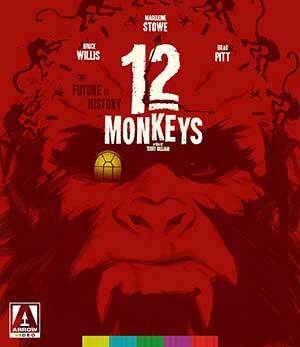 Can Cole locate the Army of the 12 Monkeys, a fringe-group that can help him cure the disease? Or is he going to spend the rest of his life locked in an asylum and displaced from his own time? Telling you anymore would be a disservice to those who haven't seen the film yet. 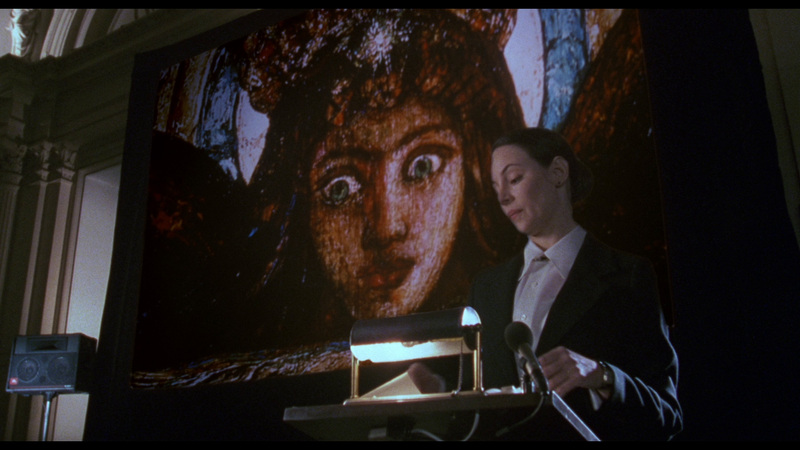 Gilliam's direction is dead on and the movie is a stunner as far as the visuals are concerned. There's some truly beautiful cinematography going on in a lot of this film, and not only is it a roller coaster ride for your mind, but it's also a treat for your eyes as well. Also, worth noting is the incredible set design on display. 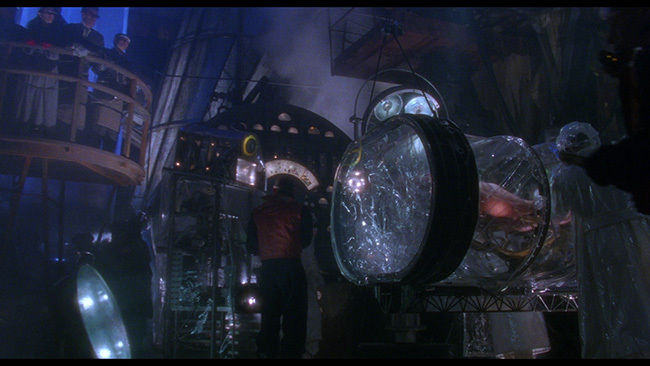 The production design throughout the picture is top notch, offering up a very possible take what the future could wind up looking like but keeping in mind an interesting steam punk aesthetic that gives the movie its own look. The soundtrack reflects this nicely as well, with When The Earth Died Screaming by Tom Waits taking on a very poignant tone while periodic busts of the cartoon insanity that bursts from the television keeping the anarchic vibe strong. 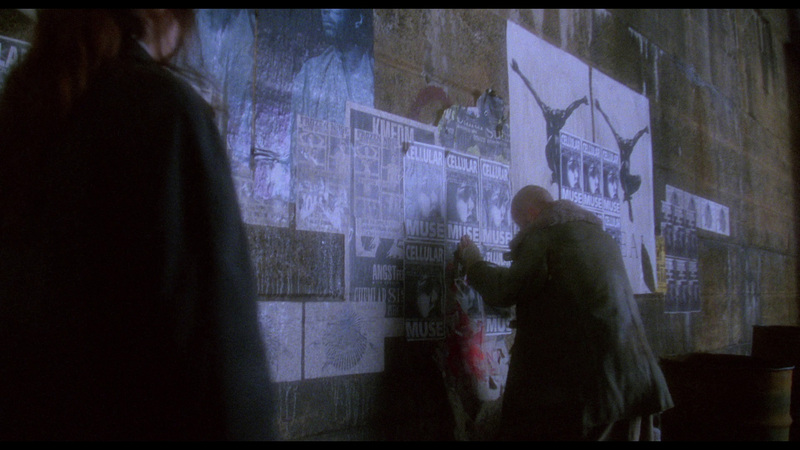 A unique and distorted vision of a bleak future, 12 Monkeys is not only one of Terry Gilliam's best films, but one of the best films of the 90s, period. 12 Monkeys arrives on Blu-ray from Arrow Video on a 50GB disc in a “Brand new restoration from a 4K scan of the original negative by Arrow Films, approved by director Terry Gilliam.” The AVC encoded 2.35.1 widescreen transfer is a good one, bringing all of the natural film grain to the proceedings but showing little actual print damage, maybe just the odd white speck now and again. The strong bit rate and quality authoring of the disc keep compression artifacts away, the whole thing looks very film like, free of obvious noise reduction or edge enhancement. 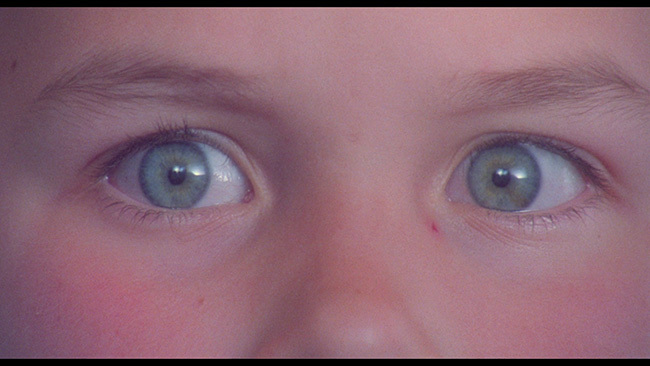 Skin tones look good, and colors are nicely reproduced (though this is hardly the most vibrant movie ever made). Audio chores are handled by an English language DTS-HD 5.1 Master Audio track. This is a very strong track with a lot of great surround activity in it. Check out the scene where Willis drops in on the firefight in the trenches and pay attention to the bullets zipping past, the explosions coming up behind you and the various bits of chatter that come at you from all around the soundstage. Dialogue stays nice and clean and easy to understand while bass response provides some welcome rumble and fills in the low end quite nicely. This is a track that shows a lot of range and the well-balanced levels and the clarity of the mix ensure that it all transfers over very nicely on this Blu-ray release. Optional subtitles are provided in English only. 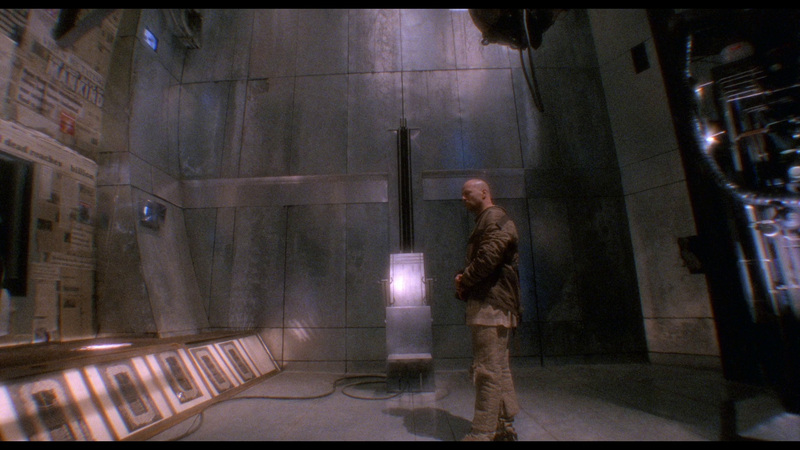 Arrow’s Blu-ray release carries over all of the extras from the SD Collector’s Edition DVD of 12 Monkeys starting with the running audio commentary from director Terry Gilliam and producer Charles Roven, which is interesting to listen to and never lapses into dead air. Gilliam has always got something to say about his film, and it's certainly educational for those interested in his unique creative process. There's also a trailer included on the disc as well, and some interesting liner notes detailing the films transition to the big screen. 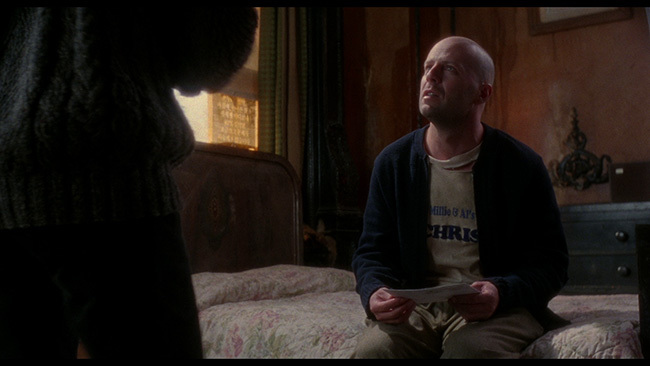 The highlight of the extras, however, is ‘The Hamster Factor and Other Tales of the 12 Monkeys' - a refreshingly unique behind the scenes look at the making of the film. While a lot of the Behind The Scenes documentaries that we get as extras are nothing more than promotional tools, The Hamster Factor shows us a lot of the more difficult aspects of the film and isn't afraid to show it's cast and crew as real humans with flaws and some serious self-doubt about the project. 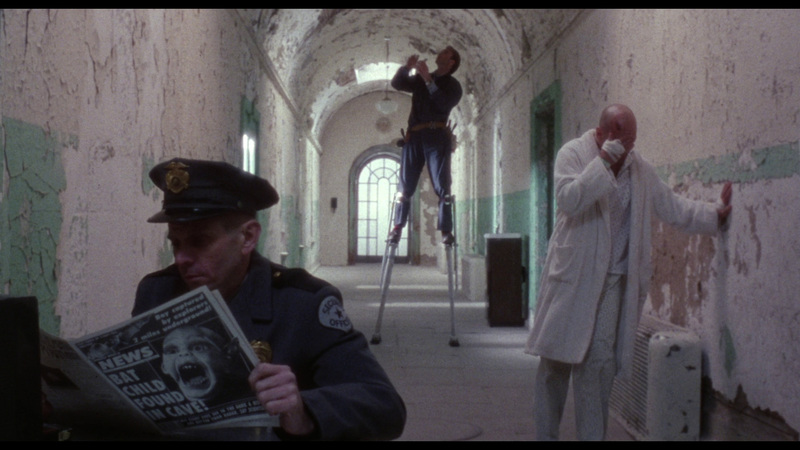 This ninety-minute feature length documentary really gives us a ‘warts and all' look at Gilliam's experiences on this film and it's pretty fascinating stuff. After that we get an interview with Gilliam from a 1996 screening of the feature that runs twenty-three-minutes in length. He covers some of the same ground here as he does on the commentary but also offers up some amusing stories from the shoot. 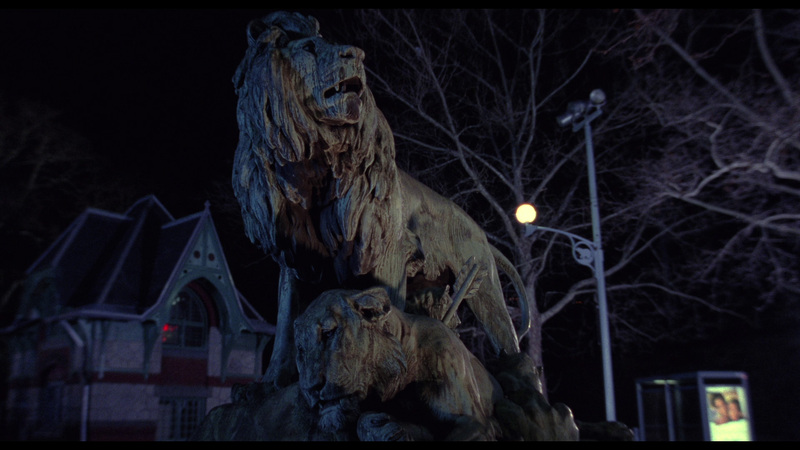 From there, author Ian Christie gives us his thoughts on the film in a piece that runs for sixteen-minutes. He offers up his take on what makes the movie work as well as it does will giving thoughts on the direction, the storytelling and the acting. We also get a huge still gallery of promotional and behind the scenes material, a trailer for the feature, menus and chapter selection. Finished product is reported to come with an insert booklet and some deluxe packaging but none of that material was provided with the test disc sent for review. Terry Gilliam is a rare breed of visionary filmmaker and his modern masterpiece holds up well on this Blu-ray from Arrow Vide. Fans of not only Gilliam's unique form of movie making, but of intelligent, engrossing and just plain bizarre storytelling owe it to themselves to see this film. 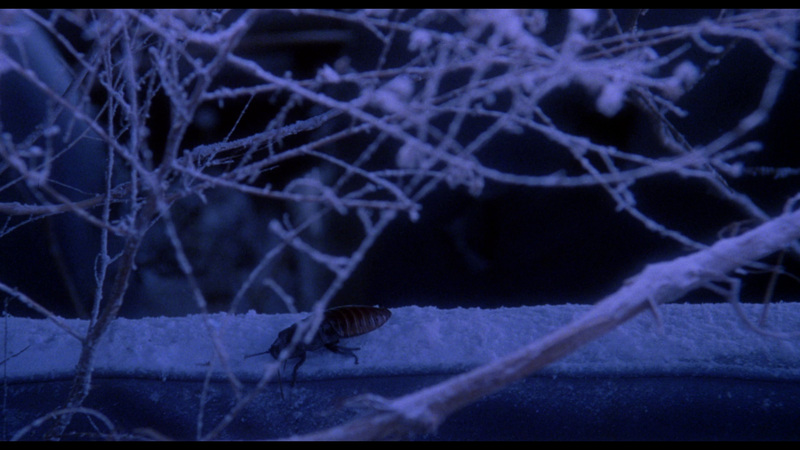 Arrow’s Blu-ray release offers up a new 4k sourced transfer and a few new extras to complement the bulk of the supplements carried over from past editions. Click on the images below for full sized 12 Monkeys Blu-ray screen caps!